At only 21 Rasam has already established himself as one of New Zealand’s finest up and coming musicians. His versatility as an MC/Singer enables him to cater to almost all the modern popular genres with Reggae, Hip Hop and Dub step being his strongest niche. The past year has seen Re come to the forefront of the New Zealand Dub step & Drum & Bass scene. He has opened for a large number of the heavyweights in the NZ electronica scene. 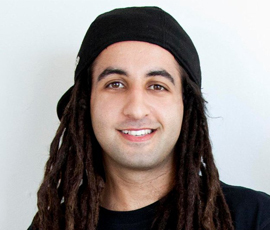 Rasam is also the founder and owner of DUBJB Music NZ Ltd – an events and promotion business set up to support and promote New Zealand music. Rasam has a diploma in Audio Engineering and is currently completing a degree in Recording Arts with SAE Institute. Rasam has been involved in all aspects of the New Zealand music industry for well over 5 years. Being a professional musician, promoter, band manager, music teacher and audio engineer has given him a vast knowledge and a clear understanding of what is required to become successful in the New Zealand music Industry.